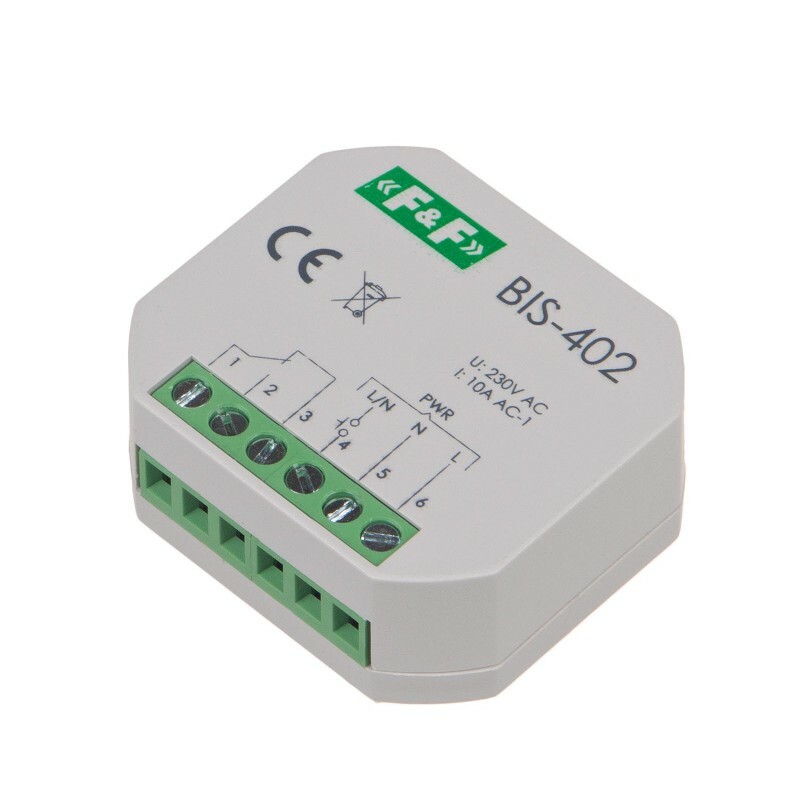 The receiver is followed by current pulse triggered by pressing any (bell) connected to the relay. 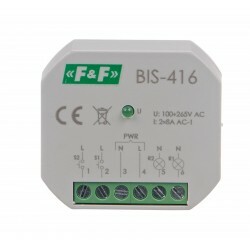 Turning off the receiver will be the next pulse. 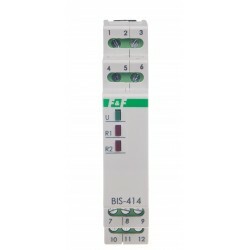 The relay does not have a "memory" of the contact position, ie. in the case of power failure and the subsequent return, contact the relay will be set in the off. This prevents the automatic switching of loads without supervision after a prolonged power failure. 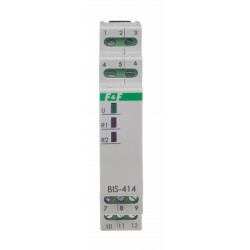 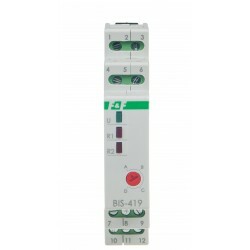 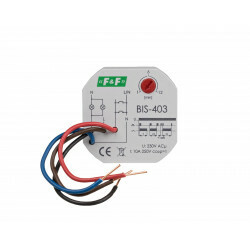 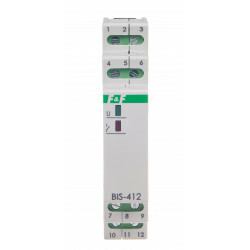 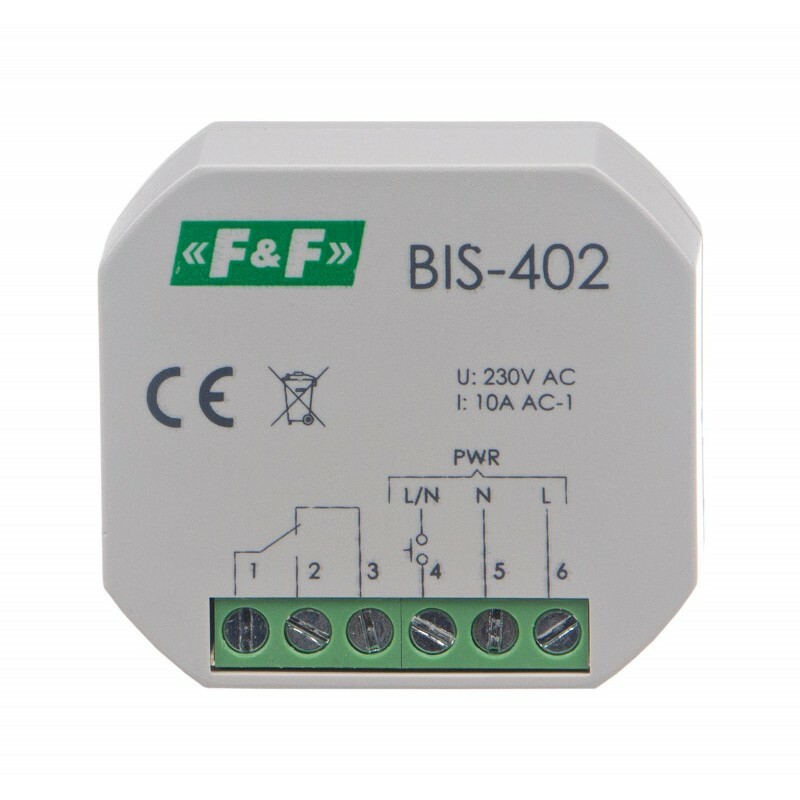 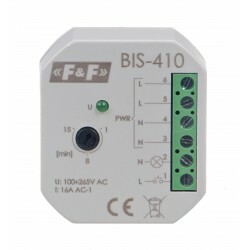 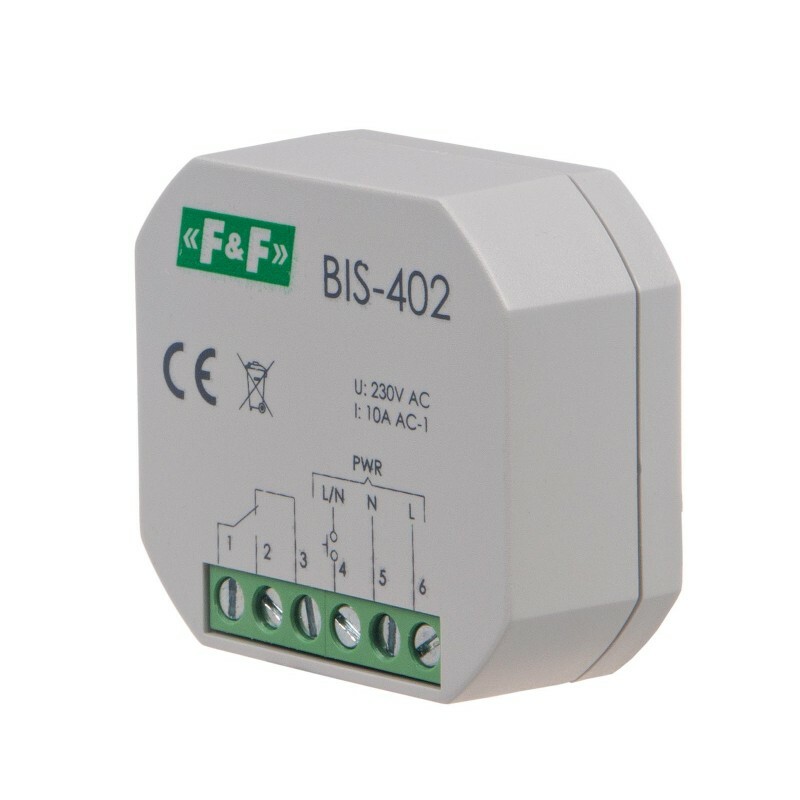 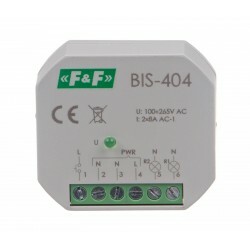 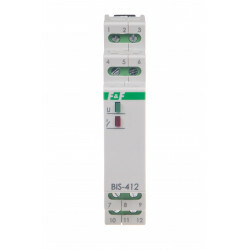 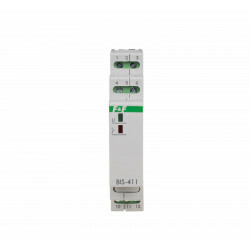 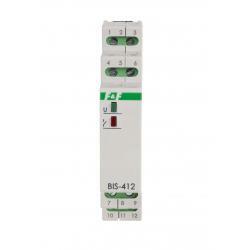 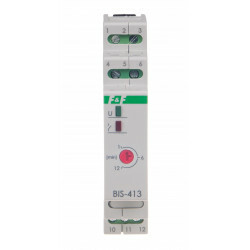 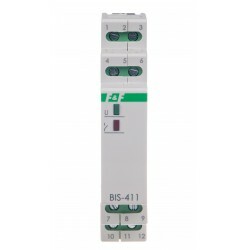 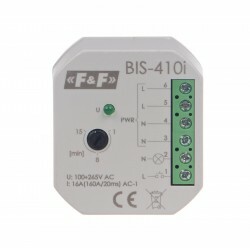 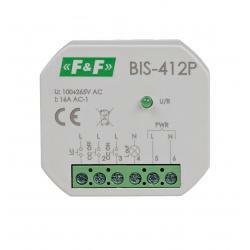 The BIS-402 not compatible with bell pushes equipped with fluorescent lamps.